The Adapt 600 range is designed to offer supreme comfort with good ergonomic features. 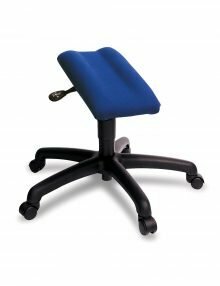 Features include a knee tilt mechanism, side tension control, independent back angle adjustment, inflatable lumbar support and memory foam seat pad. 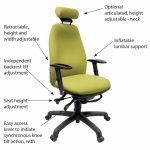 The Adapt 600 range of chairs offer loads of other options from the ones below, if you can not see the option that you require please contact us. We sell other colour variations of the Adapt 600 range. Please contact us for more information. 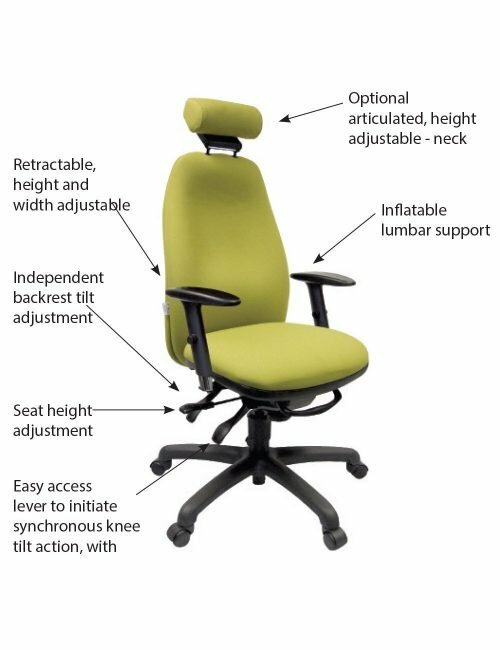 Our specialists can assemble your chair at your own premises, install all the components and demonstrate all the usage features. Please note that these special delivery and installation prices are for website orders only. Applicable for Mainland UK only. Please note that these special delivery and installation prices are for website orders only. Wholesale and Trade orders are not included in the prices shown below. We hope that you will be delighted with your purchases from us and that your delivery has arrived with you in excellent condition and on time. It is your responsibility to carefully check that all items have been delivered in the correct quantity and to the required specification. Any errors, omissions or damage to items must be notified to us, by telephone or email, within 24 hours of receipt of your delivery, or by the end of the next working day. This enables us to raise any queries with our couriers and with our despatch department. Please note that any errors or omissions notified to us after this 24-hour period will not be considered. Under the regulations detailed above you have 14 days from the receipt of goods ordered to return items for a full refund, excluding carriage and installation. Please retain all original packaging until after you have decided to keep the goods. Items not returned complete, in their original packaging, are not refundable. If any item that you have ordered does not fully meet your needs then we must be notified, by telephone or email, within 14 days of your receipt of delivery. The cost of returning goods to us is to be at your own expense and we strongly recommend that you use an insured courier service (DPD, DHL, Yodel etc) for this and obtain a receipt of despatch as we will not be responsible for returned items which fail to arrive back with us or which are damaged in transit. We do not refund the original outward carriage charges or any installation, assembly and usage training charges you have requested. Please email or telephone us to confirm that you wish to return an item(s) within the 14-day cancellation period. We will provide you with a Goods Return Number which must be clearly written on the outside of the package. The cost of returning goods to us is to be at your own expense and we strongly recommend that you use an insured courier service (DPD, DHL, Yodel etc) for this and obtain a receipt of despatch as we will not be responsible for returned items which fail to arrive or which are damaged in transit. All items being returned are to be addressed to the Goods Inwards Department, Online Ergonomics Ltd., Unit 18, Ellough Industrial Estate, Beccles, Suffolk, NR34 7TD. Once we have received the returned item we will check the goods and packaging to ensure that everything is intact and complete. A refund will be issued within 14 days of our receipt of the returned item(s). If the item being returned is large, heavy or bulky then please contact us as we may be able to offer a collection service which will be chargeable. Customised Items include chairs with specific options fitted as specified by you in your order. Such items are individually built by the manufacturer to your requested requirements and are therefore exempt from distance selling regulations and are not returnable / refundable unless faulty or damaged in transit. 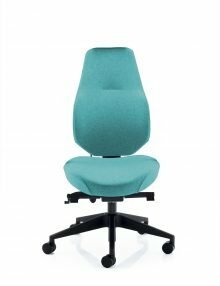 If your needs are complex and you need specific adaptations or chair options fitted then we recommend that you contact us before ordering to discuss your requirements. Software which has been unsealed, downloaded or activated is not returnable and non-refundable. 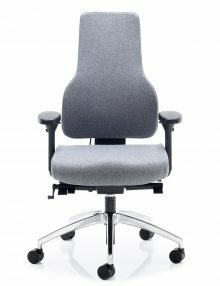 All chairs are supplied with a 5-year guarantee against fault in manufacture, including structural parts, when used in normal ofﬁce conditions. 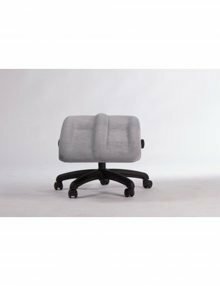 24-hour usage chairs carry a two-year guarantee. 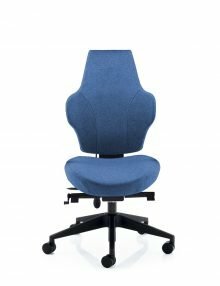 The guarantee is conditional in that it covers normal use and that misuse has not taken place and that the ﬁnal decision rests with Online Ergonomics Ltd, their component and fabric suppliers. The guarantee is conditional on the chair being returned to Online Ergonomics Ltd for assessment. All accessories and desks come with a 1-year manufacturer’s guarantee. We reserve the right, at our discretion, to repair, replace or refund faulty items within the guarantee period. In the event of an item becoming faulty then please email or telephone us to confirm that you wish to report a faulty item within the guarantee period. We will provide you with either a Goods Return Number which must be clearly written on the outside of the package or, for chairs and desks, we will arrange to visit and inspect the faulty item. The cost of returning goods to us is to be at your own expense and we strongly recommend that you use an insured courier service (DPD, DHL, Yodel etc) for this and obtain a receipt of despatch as we will not be responsible for returned items which fail to arrive or which are damaged in transit. Once we have received the returned faulty item we will check and inspect the goods to establish the cause and nature of the fault. We will then contact you within 14 days of our receipt of the returned item(s) to discuss and agree how we propose to remedy the fault. If the item being returned is large, heavy or bulky then please contact us as we may be able to offer a collection or arrange a visit to inspect the faulty goods. In the unlikely event that you wish to complain about an item or a service that you have received from us then please, in the first instance, contact us on 01502 715400. If we are unable to resolve a complaint to your satisfaction at that time then please submit a written complaint, explaining your dissatisfaction and the issue, to: Matthew Oliver, Managing Director, Online Ergonomics Ltd, Unit 18, Ellough Industrial Estate, Beccles, Suffolk, NR34 7TD. You will receive a written reply within 14 days of your complaint. Can be upholstered in cloth or wipeable PVC. Joy displays the technical attributes of more expensive products, in a surprisingly affordable package. Its form, contours and proportions are the result of Orangebox’s continuous ergonomic research. The result, irrespective of your own body shape or size, is a level of comfort and performance previously unavailable for this class of product. Orangebox now offers Joy as a Carbon- offset product when specified in the Camira Oxygen Fabric. This means that the equivalent quantity of carbon generated in producing a Joy chair has been saved by investment in sustainable energy projects making Joy a Climate Neutral product (in association with Climate Care). 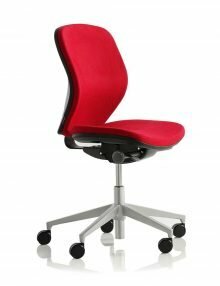 Orangebox Joy chairs come with a black nylon base, black gas stem, height adjustable ratchet back, and a synchronous mechanism as standard. Other colours are available, please get in touch for more information.